General practice dentistry is the very heart of what we do at True Dental Care. From regularly scheduled appointments to treatment for acute dental problems, we help our patients achieve and maintain their oral health. 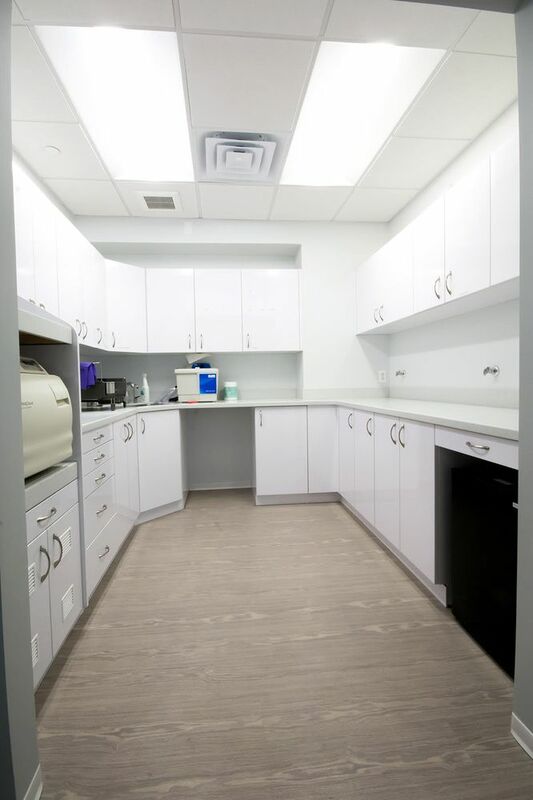 From our state-of-the-art facility to our expertly trained and personable dental professionals, we’re equipped to provide an incredible experience from start to finish. What Is General Practice Dentistry? General practice dentistry is a broad term that encompasses everything a dentist does. Much in the same way a primary care physician acts as an overall caregiver in general medicine, general practice dentists are the first stop for patients looking for routine examinations and diagnoses for acute issues. While many of us only visit the dentist when it’s absolutely necessary, preventive care is just as important as treatment. In fact, routine exams can help safeguard against common issues such as cavities and gum disease, and even when those issues do arise, catching them earlier makes treatment less complicated. The American Dental Association recommends a minimum of one annual visit for low-risk patients, while high-risk patients should see their dentist more frequently. If it’s time for your routine dental exam or if you need to address a specific problem such as tooth pain or a missing tooth, our team at True Dental Care can help. Request your appointment online or call our Jersey City, NJ, office today at (201) 565-0890. True Dental Care is modern dentistry built around customer service, state-of-the-art technology and quality care. Dr. Dan is a wonderful dentist and really knows his craft. I had teeth bonding procedure perform (painless and professionally done!) and couldn’t be happier. I highly recommend True Dental Care and their entire staff without reservations. Truly, the best dental experience I have ever had. Dr. Dan is so patient and knowledgeable, he genuinely cares about his patients and thoroughly explains each step of the procedure and findings. His team is a reflection of his values, each member carries the same professionalism and patience throughout their role. It is safe to say that I no longer dread going o the dentist! I am so thrilled to have found this practice in Jersey City, a place that I can bring my family to and a Drs that I trust. The office is so clean and well-designed, the clinical tools and equipments are modern, and the staff are very friendly and helpful. In my first visit, Dr. Cohen and his assistant, Kristine, performed a thorough examination on my teeth and provided me a detailed and rational explanation on the treatment procedures, health priorities, and a transparent evaluation about its financial aspects. I would definitely recommend you to visit this dental clinic. Awesome dental care. The stuff is so wonderful in welcoming you and dentist Daniel Cohen is just wonderful. No long wait they take you right for you appointment time. Glad I found True Dental Care. Everyone here was amazing. It was the most thorough exam I’ve ever had. I hadn’t been to the dentist in years, and no one made me feel awful about it. We just discussed what was needed and how to make things better. I was extremely comfortable. From the front desk to the hygienist to the dentist himself, I would highly recommend true dental care. We discussed payment options, prioritizing certain things first, and I did not feel one ounce of pressure to get a million things done at once. I have had AWFUL experiences with more than one dentist. I’m incredibly thankful to the whole staff here. Copyright 2017 True Dental Care"